A good off-the-shelf LMS automatically updates the progress of employees, partners or customers’ training activities and provides robust tracking. It is a huge time saver for administrators to be able to pull, or even better yet schedule, accurate and timely reports to readily check the status of many trainees all at once. 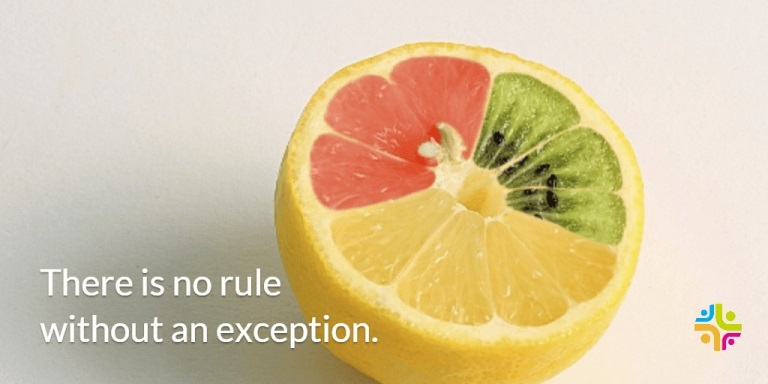 But what about managing exceptions and anomalies? There will always be some. A great LMS not only takes care of tracking conformity and routine, it also offers flexibility to manage special circumstances and one-off rule benders. I’m often asked by prospects if Absorb LMS allows administrators to manually input course status and results fields. Initially this may seem to be an odd question. You expect your LMS to do all the tracking and tell you what’s happening, not the other way around. Yet giving administrators control to manually input these details on an exceptional basis, learner by learner, provides real flexibility in addressing customized business needs. Not a lot of LMS systems bend this way to allow administrators to manage exception data manually, but Absorb does! With its single codebase and standard features, Absorb allows administrators to override many system-generated data fields to support due date extensions, subjective scoring, prerequisite overrides, and more. Take a look at all of the results tracking fields Absorb allows administrators to populate or edit manually. Add specific details to individual learner results, such as a descriptive status, in-class score or mark daily attendance for multiple day events. Or use Absorb’s Mass Actions feature to apply the same results to the full class roster all at once. For web-based training, not only can you override the completion for individual students and change the completion date, admins can also adjust the score and extend expiry and/or due dates as required. Overrides can be applied granularly to individual modules or lessons presented within a course with additional editable settings including passing score and number of attempts available at the student level. Of course once status and results fields have been overridden, Absorb proceeds to process all automated rules triggered on score or status based on the new data without skipping a beat! If you would like to learn more about the power of Absorb, create your own demo account using the button below.